Accidents happen. we are sure this wasnt intention. 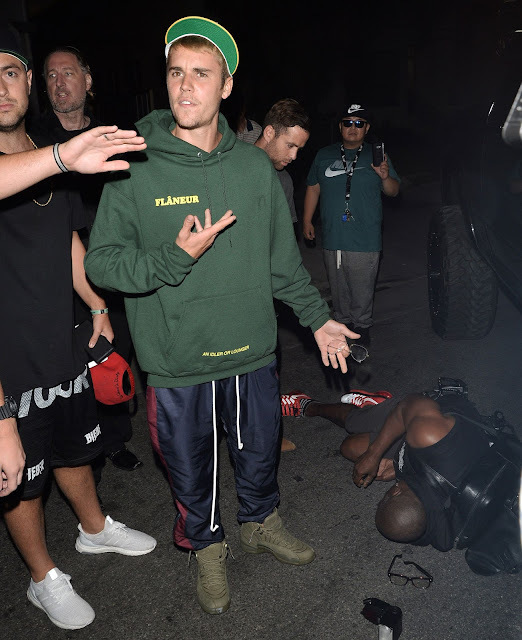 So, canadian Singer, was caught on camera after he accidentally hit a photographer with his truck while leaving a church service, Just days after he cancelled his Purpose World Tour, due to “unforeseen circumstances”. IT wasn’t too late to say sorry for the pop star who was attending a service at the Saban Theatre when he was caught on camera knocking into a paparazzo outside the building. The accident happened around 9.30pm last night local time, when he was pulling away in his vehicle to go home from church. The singer was seen in his black Dodge Ram pick-up before he pulled out and hit the man who was taking pictures of him. The 57-year-old paparazzo, was taken to a local hospital with non-life threatening injuries, according to the New York Post’s Page Six column. The singer was captured on video as he went to the aid of the photograher as police officers and paramedics arrived at the scene. Beverly Hills police confirmed no arrests were made and they believe the incident was an accident.